No one wants to be eaten alive by mosquitoes when you are trying to have fun at an outdoor summer party, but there's no need to resort to harsh chemicals to keep them at arm's length. 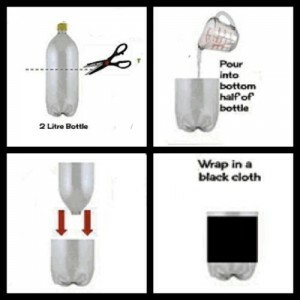 Here is a DIY solution in the form of an inexpensive trap that you can easily make from a plastic bottle and a few other household items. People are shocked how easy and effective it is to keep these pesky bugs under control with this environmentally friendly alternative. You also should have the most of the necessary bits and pieces lying around your house. Mix sugar with hot water, let cool, then pour into the bottom half of the bottle. Add the yeast. 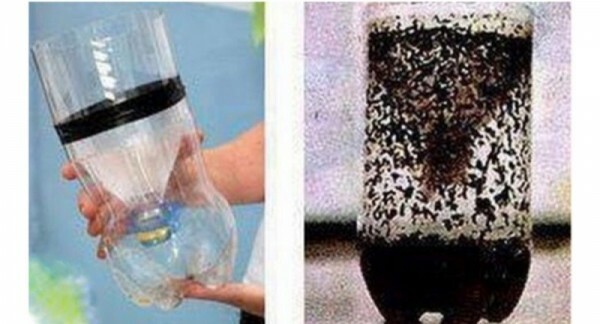 No need to mix, this creates carbon dioxide, which attracts the mosquitoes. Place it outside in an area away from your normal gathering area.